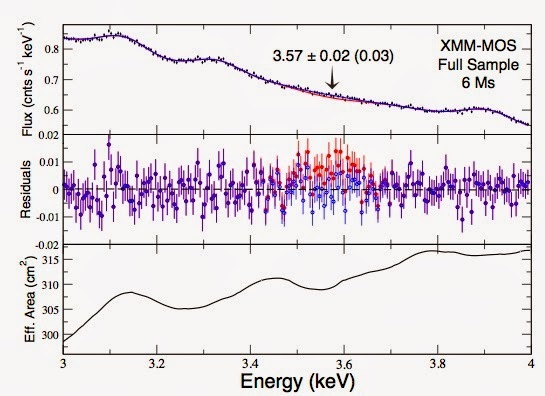 This entry was posted on July 26, 2016 at 10:43 am and is filed under Bad Statistics, The Universe and Stuff with tags dark matter, galaxy clusters, Hitomi, Katie Mack, neutrino, Particle Physics, Sterile neutrino, XMM/Newton. You can follow any responses to this entry through the RSS 2.0 feed. You can leave a response, or trackback from your own site. My ‘argument’ us that there’s nothing there. Have you tried reading posts before commenting on them? 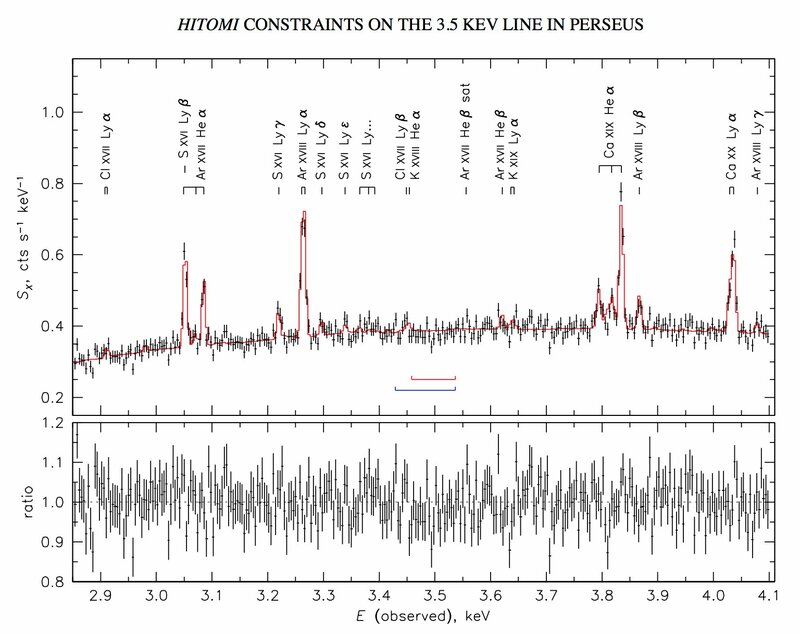 There is something there, but not the usual discrete X-ray line. The simple QED emission is broadband because of small variations in diameter of the sulfur atom. I base this argument on the following data.